This quilt is a wonderful example of a material switch-up. 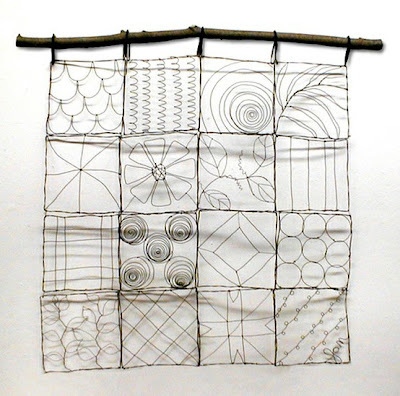 Instead of using fabric, the artist Jan, instead chose wire. In place of a glorious artwork of color, she created a magnificent study of line. The shadows created must add great depth. 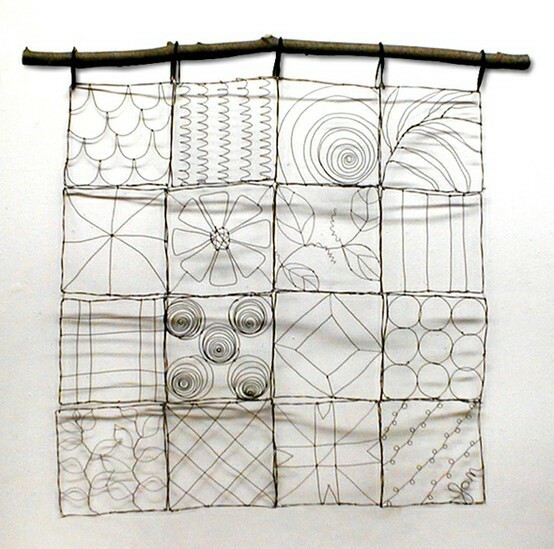 This "quilted" wall hanging is available from QuiltWharehouse.com. The artist is only identified as Jan and there is no further link. I'd love to know more about this artist and see additional work. Add a comment if you can provide further information.